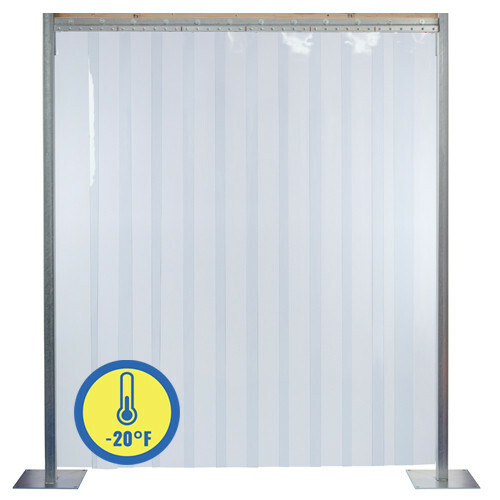 Low Temperature Strip Doors (also known as polar grade) are perfect for cold environments. The strips stay flexible and resist breaking and cracking under normal operating conditions in cold temperatures. This makes them ideal for internal or external applications with temperatures ranging from -20°F to +140°F. Use polar grade strip doors for walk-in coolers, freezers, personnel doors in restaurants and food service environments, and in cold storage openings.